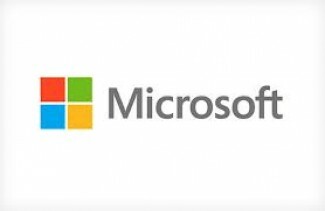 Microsoft Corporation (NASDAQ:MSFT) apparently didn’t really do anything, but Barnes & Noble, Inc. (NYSE:BKS) shares spiked last week with a rumor that floated which said that Microsoft, which owned a 17-percent stake in NOOK Media LLC – the Barnes & Noble subsidiary that creates the NOOK e-reader tablets and related content – was making a $1 billion offer to buy the entity outright and take it over, perhaps to incorporate the Windows operating system over the current Android OS that runs on the tablets now. There was much discussion about the proposed deal, which by one calculation would have amounted to about $27 per share of Barnes &Noble, Inc. (NYSE:BKS) stock, which explains why when the rumor hit the street, the stock spiked to nearly $22 a share at point in the trading day. The talk was that Microsoft Corporation (NASDAQ:MSFT) had invested $300 million in a company valued at about $1.8 billion when it started about 18 months ago, but after sales of the e-reader device had tanked miserably during this most recent holiday shopping season, the company was looking to make a value play to try to secure a better return on investment by having control of the business. However, we at Insider Monkey received word from a highly placed source inside Microsoft Corporation (NASDAQ:MSFT) who said that the story was only a rumor, and that nothing imminent is happening in regards to Microsoft and its investment in the NOOK Media entity, or reports that it is buying out Barnes & Noble, Inc. (NYSE:BKS) from the operation. “I literally just walked out of the meeting today discussing all this Microsoft/NOOK hoopla going on,” the source wrote to us late Friday. As this story continues to develop, or not, we will keep you posted with the latest information from Redmond.